Skeese Greets: Columbus Day Sale! It's Columbus Day so we're having a sale! From now until tomorrow (Oct 14 at 11:59PM) get 14.92% off all orders at Skeese.com. This goes for all cards, including boxed sets of 10. Now is a great time to stock up on all your Christmas and Hanukkah card needs. There are currently 12 Skeese Greets holiday cards that feature bicycle chain designs. 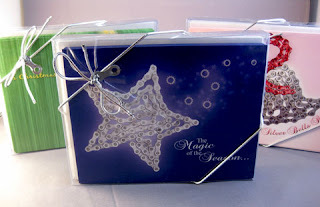 Each of the holiday cards come individually packaged or in a boxed set of 10 like pictured below. Type in columbus at checkout for the discount. *Can't be combined with other offers/discounts.